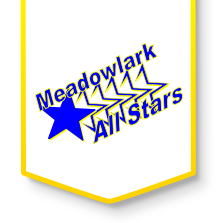 Meadowlark staff, students, and community members will provide an academic environment for diverse learners while keeping high expectations, incorporating innovative instruction, and preparing students to be productive citizens. Success is attained through high academic & behavioral expectations. Technology is used to prepare students for their future. Achievable goals are met through engaging and diverse instruction. Respectful, positive, and encouraging communication is essential. Safe learning environments make ALL feel valued and welcome.